I recently worked on an interesting story about food waste that occurs all around us --in restaurant kitchens, school kitchens and our own kitchens. Given the growing hunger in our communities (just visit soup kitchens, unemployment offices and food pantries for a first-hand account), the fact that Americans generate more than 34 million tons of food waste each year is sad. More than sad, it's a problem that needs to be fixed, controlled at least. 2. Use food in a timely manner. The district also applies the “first in, first out” rule. “We place older items at the front so they are used up first,” Knox said. 3. Plan ahead. 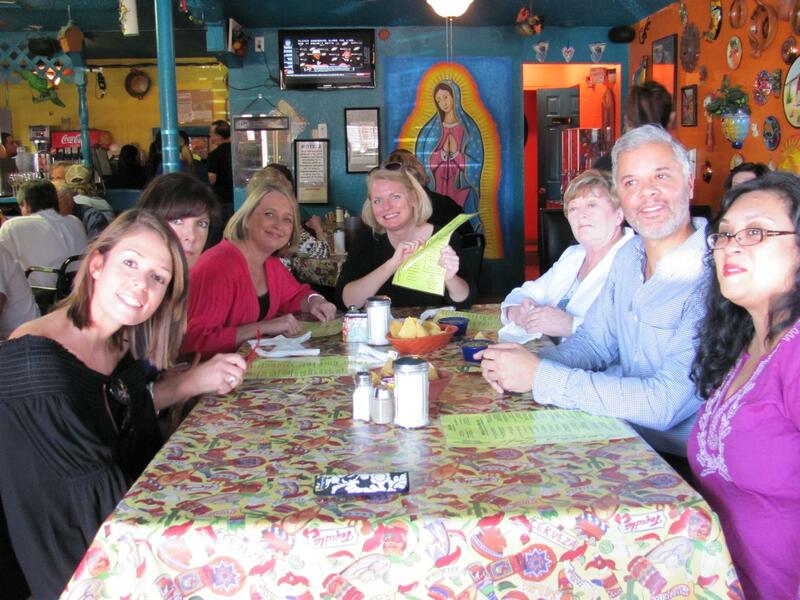 The district orders food about two weeks in advance and that involves planning, using menus and shopping lists. 4. Make sure your refrigerator and freezer are operating at the correct temperature. Freezers should be zero degrees or below, and refrigerators in the 38-35 degrees range, she recommended. “The wrong temperatures can cause food to mold and spoil,” she said. 1. Put up leftover in the refrigerator in a timely manner. Within 2 hours of taking a dish off the stove or out of the refrigerator, or one hour if the temperature is 90 degrees or above. 2. Use up leftovers as soon as you can. 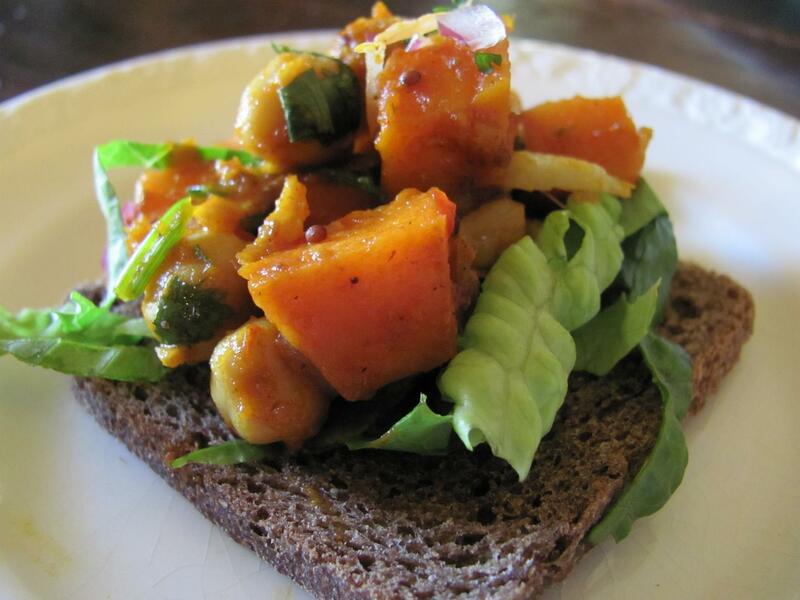 If you don’t want to eat the same thing, add a few ingredients and turn them into something new. Spraberry loves to use leftovers in salads, soups, casseroles and quick stir-fries. 3. If you’re packing leftovers for lunch the next day, remember hot foods need to be kept hot (use a thermos) and cold foods need to stay cold (use ice packs). “If you’re packing bottled water for lunch, you might freeze it first and use it like an ice pack to keep your food cold,” she said. 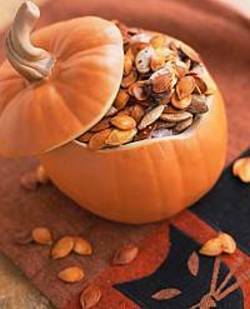 Several Abilene moms shared their food strategies on the AbileneMoms Facebook Page. 3. Marlene H. makes lasagna or casseroles and then freezes the leftovers to enjoy a couple of weeks later. If you have a tip that hasn't been mentioned but helps you in your food strategy, please share in the comments! WooHoo! The winner of The Homesick Texan cookbook is Laurie (The Irishrenlady). I'll be e-mailing you! And thank you everyone who visited the post and shared their stories of food and memories. 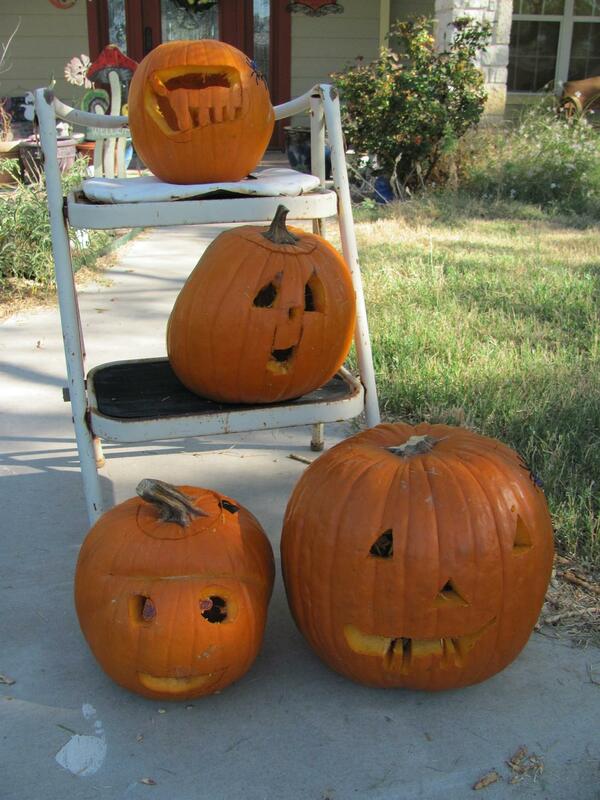 Each one was special. Keep cooking, eating & making new memories! Also, here's my article on Texas Foods that Lisa Fain is featured in. Homesickness is a such a powerful yearning of the soul that it can connect two strangers across a great distance. Even if the strangers had never met. Even if one lived in Texas and the other in New York City. Even if they were each pining for homes left behind in different parts of the world. 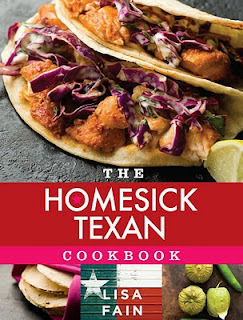 I found the Homesick Texan blog when Lisa wrote these words: "When I first moved to New York City and discovered that the Tex-Mex was seriously lacking in this town, I embraced Indian food. 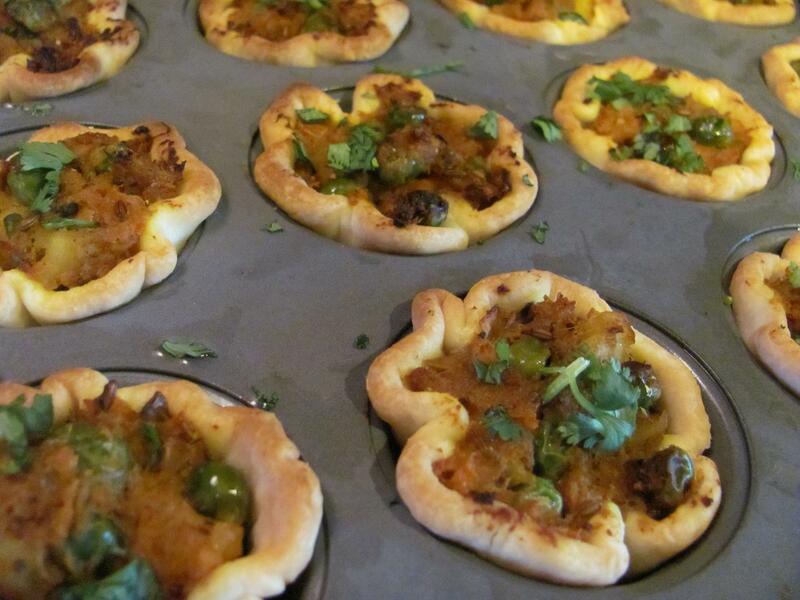 Now, if you’re not familiar with Indian cuisine that may seem bizarre. 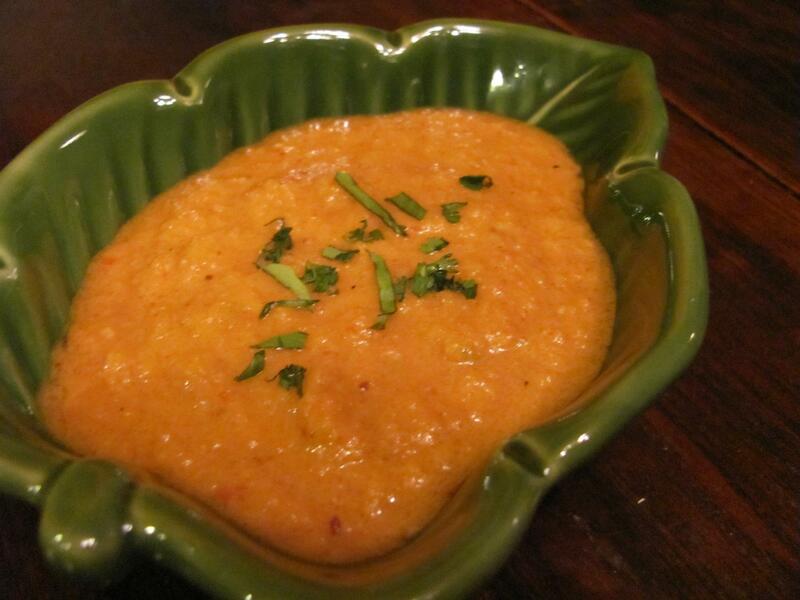 But Indian cuisine is rich with ingredients familiar to Texans, such as cumin, chiles and cilantro." You can find the rest of the post here. Her words mirrored my experience. When I first moved to the U.S. and Texas, when I found myself missing Bangladesh and my mother's curries, sitting around the family table for meals full of flavors and smells I'd grown up with...I sought out Tex-Mex food. Over time, I grew to appreciate Tex-Mex food for itself (you couldn't find avocados or guacamole anywhere in Bangladesh, but I absolutely love both! ), enjoyed other Texas fare and learned to make curries and other desi foods myself. But I still continue to keep up with the Homesick Texan. And when she published her cookbook, I was overjoyed. It's more than just a cookbook, it's the words and recipes of a sister traveller. To celebrate her debut release, one lucky person will win a copy of her cookbook. All you have to do is leave a comment about what food takes you home. A randomly drawn winner will be announced Wednesday, September 21. Here's a Q & A with Lisa. Enjoy! 1) Who inspired you to cook? Everyone in my family enjoys cooking, and some of my earliest memories are standing in the kitchen with my mom, my dad or my grandparents, watching them prepare dishes. Sometimes they’d even let me help if I wasn’t too busy licking the bowl. 2) What inspired you to write a cookbook? Writing books has always been a dream of mine, and when enough people suggested that I write a cookbook, it seemed like a natural progression from the work I’d done on the blog. It’s funny, I started the blog simply to share recipes and photos with friends and family, and never in my wildest dreams did I believe I’d end up writing a book. It’s been a joyful journey! 3) How have you changed since you started blogging? The blog showed me that there are homesick Texans all over the world—so I felt less alone with my obsession. It’s also revealed to me the power of home cooking as a means of connecting with those that you love. 4) Who is this cookbook meant for? This cookbook is meant for everyone. 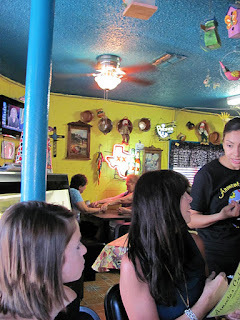 Seriously, Texan cuisine is warm and welcoming and I say everyone’s invited to the Texas table! 5)When you miss Texas, what is the one food or flavor that can always comfort you? 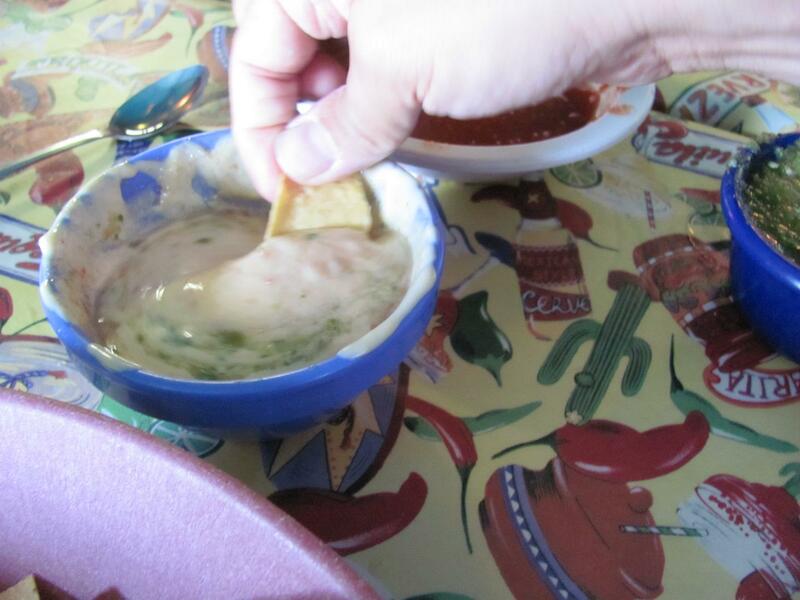 A big bowl of homemade Houston-style green sauce. So we're in the middle of a 3-day Labor Day weekend and many of us are gathering around a grill. It's sort of like a last big "Hurrah!" School has started, the temperatures have started to drop (Yay! )and we are saying good bye to summer. When grilling is mentioned, many people immediately think of some sort of meat -- large cuts of steak, stings of sausages or skewers of kababs. Not me. I offer you veggies. My favorites are sturdy vegetables that don't fall apart on the grill, like squash, onions, bell peppers, asparagus and okra. A mix adds a rainbow of color and flavors to your meal. Grilling adds a smoky depth to the veggies, and brings out a natural sweetness. All with only a minimum of fuss. Step 1. Marinate the veggies. Step 2. If using bamboo skewers, remember to presoak them. Also, using two skewers makes the veggies easier to handle, esp. in case of long veggies. Step 3. Grill time! Remember cooking time will depend on various factors: the type of vegetable, the thickness of it, and personal preference regarding doneness. 1. Preheat grill to medium-high. Brush grate with oil. 2. 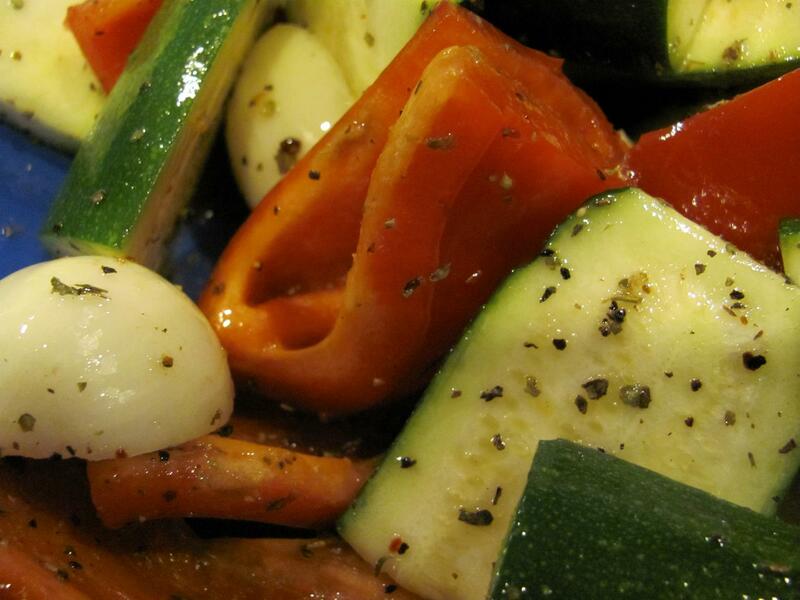 Toss the cut veggies with the marinade ingredients. 3. Get a bowl ready for cooked veggies. 4. My indoor grill didn't have a lot of space, so I had to grill in batches. The Zucchini and onion will take longer to cook than the peppers. About 5 to 6 minutes. 5. 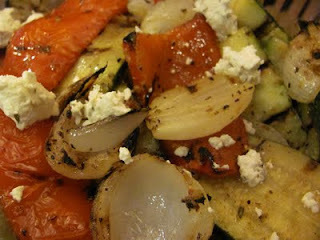 Finish off the veggies by sprinkling the goat cheese on top and serve with pasta, couscous or pita bread. 2. In a medium bowl, toss the okra, oil, lemon juice and spices together until all the okra is well coated. 3. Thread about five okra pods onto two parallel skewers (sort of creating an okra billboard). 4. 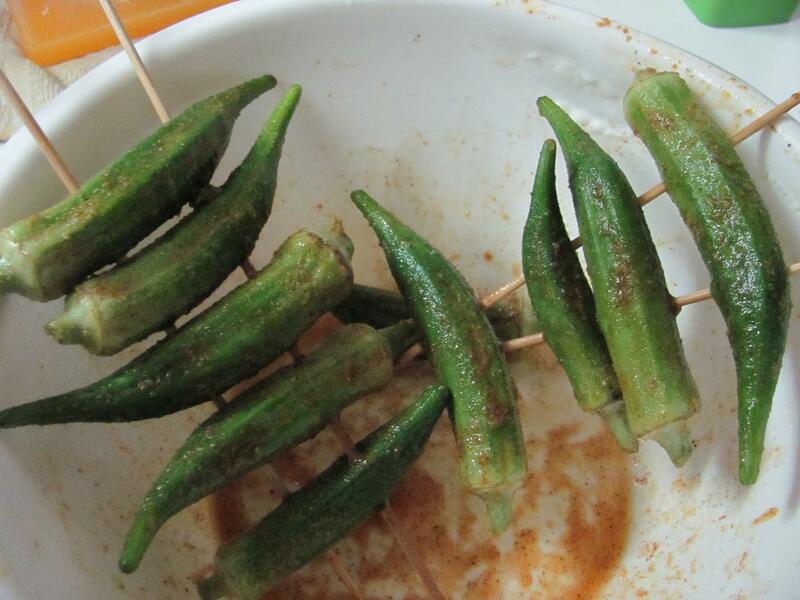 Grill each set of okra about 15 minutes (turning once half way through). My mother fell in love with a young dashing sailor and sailed off into the sunset with him. They even continued to sail together after having kids (I definitely have my sea-legs). But when the kids got old enough for school, my parents made a hard decision. She settled down on land with the family, while my father continued to sail. My mother expressed her wanderlust through her cooking. Yes she served us traditional Bengali dishes, but we also regularly had more exotic fare pizza, lasagna, spinach cream soup and tiered Western-style wedding cakes(without the wedding). This made us different, and even led to her catering business, until I considered it just a part of life. Actually, I had more important things to worry about...like boys. But when I came to America and discovered all the different ethnic communities and foods in Houston, tasted the different spices and savored their aromas, I think I finally understood my mother's passion for exploring new foods. I dived in with glee and ate at taquerias and late-night Pho restaurants, dined at Lebanese places with belly-dancing, and enjoyed Greek food and Greek dancing. Much of my college experience was all about exploring, as it should be. Now as woman, wife, mother in her thirties, I'm all about melding the kitchen of my childhood to the flavors and spices I have adopted in my own kitchen. My mother has a wonderful saying: "Without roots, you can't have branches." I guess, that's what I'm trying to do, grow myself and my family by caring for the roots and branching out toward new adventures. The Spanish Gazpacho is one of the most popular cold soups. Traditional recipes include bread as a thickener and while tomatoes are often a key ingredient, they were only added after Spanish explorers had discovered the new world. The soup has Roman and Moorish roots, so in homage I added my own desi/Indian flavors. Don’t let the long list of ingredients scare you…this is simple and tasty and perfect for 109-degree West Texas summers! Chock full of produce, the soup is also good for you. 1. Place bread in a small bowl and pour enough water to cover. Let it soak for about half an hour. Squeeze the water from it before using. 2. 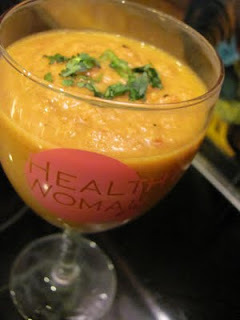 Using a food processor or blender, puree all the ingredients from bread to spices (if using) until smooth. Season with salt and pepper. 3. Chill in the refrigerator for at least 2 hours. 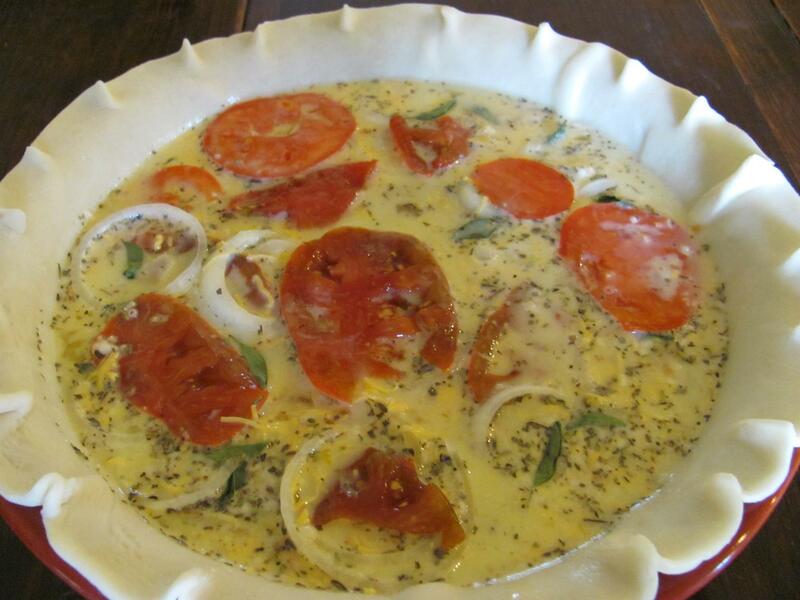 Serve in soup bowls with garnishes on the side. Serves 6. This post is part of August’s #LetsLunch, where a group of food bloggers get together and post a receipe around a different theme. This month’s theme is cold entrees. Cheryl’s Spicy Sichuan Sesame Noodles at A Tiger in the Kitchen. Charles’Cold Olive Oil Poached Chicken, Potato and Watercress Salad with Buttermilk Tarragon Dressing at The Taste of Oregon. Eleanor’s Cold Noodles with Hoisin Pork, Spicy Shrimp and Stir-fried Vegetables at Be A Wok Star. Emma’s Mul Naengmyun at Dreaming of Pots and Pans. Linda’s Gazpacho Rolls at Free Range Cookies. Lisa’s Byron Sprout Salad with Chargrilled Chicken at Monday Morning Cooking Club. Maria’s Croque Monsieur with Cheese Bechamel at Maria’s Good Things. Rebecca’s Rack of Lamb with Mustard and Rosemary at GrongarBlog. Victor’s Seafood Napoleon at The Taste of Oregon. If you want to join the fun send a tweet with a #Letslunch hashtag! Until next time, enjoy! To read my interview with Edwards and get a sampling of the recipes from Too Hot To Touch, check out my article. And the winner is FamilyFoodie! WooHoo! Raising a multi-cultural blended family that is as familiar with its Asian heritage as its German-Polish roots in the heart of West Texas isn't easy. 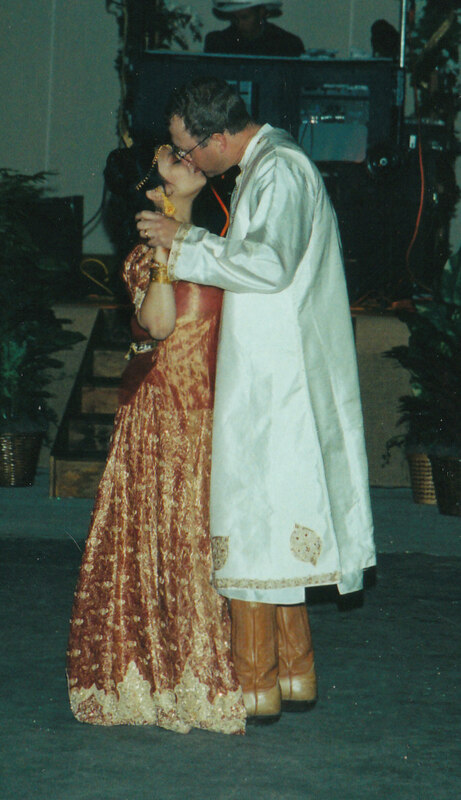 The farm life, the mainstream Anglo-culture is a constant presence, but the desi relatives and cultural celebrations are often part of visiting my parents in Houston. While my children treat Indian clothes as special, reserved for celebrations, they are more likely to identify with cowboys than the Indians. As a woman of color, I'm just not comfortable with that...I want them to embrace both and more. Yes, I want them to have the world. So I'm always trying to involve the family in experiences that introduces them to diverse cultures and people, teaches them to appreciate what is unique and different, and also recognize all we have in common. We learned Renaissance dancing and helped put together India Day at our local museum, we've cooked up special dinners to celebrate Eid and the Chinese New Year. But --as a family of readers -- we often explore through books. 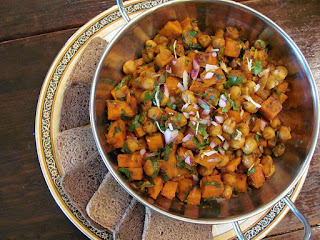 One of my latest finds is food writer Ramin Ganeshram's Stir It Up! A wonderful middle-grade novel featuring a spunky, creative 13-year-old heroine Anjalie Krishnan. I love the determined way Anjalie goes after her dream of becoming a chef and grabs onto the opportunity to compete for a shot at being a Super Chef Kid and get her own television show on the Food Network. Her ambitions clash with the expectations of her immigrant family. Anjalie's father runs a Trinidadian roti shop and throughout the story you see him, Anjalie and her grandmother working in the kitchen and the shop. Cooking is their world, yet he wants more for his children -- a universal want that will resonate with all parents. Kudos to Ganeshram for skillfully resolving the conflict, making the family recognize that cooking for Anjalie isn't just work but a passion. One of my favorite things about the book is the close relationship between the heroine and her grandmother, Deema. Being a foodie, I also appreciated all the wonderful recipes --both traditional and innovative --sprinkled throughout the story. Stir It Up!was a fun, fast-paced read that magically transported this reader to Little Trinidad --Richmond Hills in Queens -- in New York City. I could almost smell the spices flying about the kitchens...and it left me hungry for curry...so I made Deema's Easy Curry Chicken. 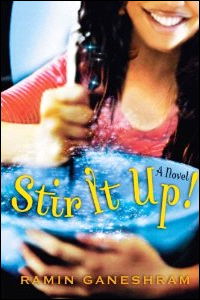 AND, here's a bit of good news: Scholastic Press, the publisher, kindly offered to giveaway a copy of Stir It Up! So leave a comment with your email or twitter handle for contact. The randomly chosen winner will be announced Tuesday, August 9, 2011. 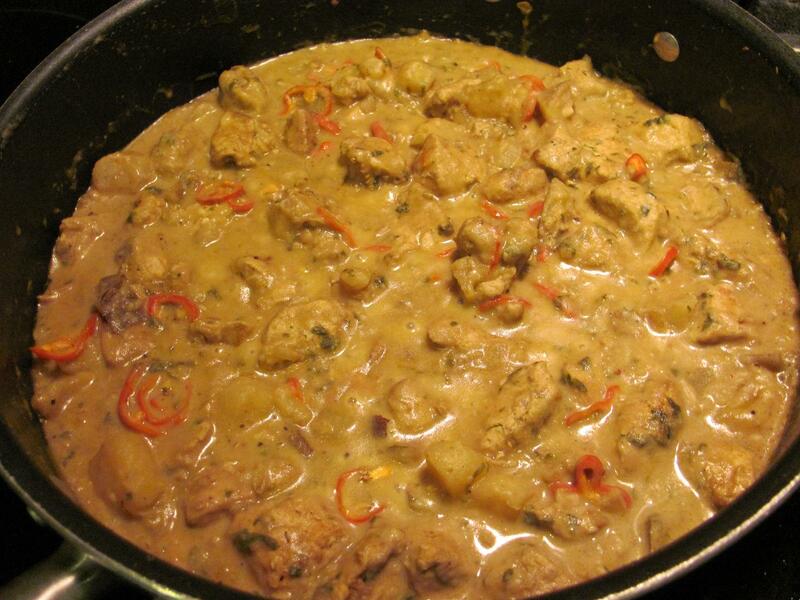 Deema's Easy Curry Chicken from Stir It Up! 1. Marinate the chicken by mixing the onions, garlic, shado beni/cilantro, cumin and 2 teaspoons of the curry powder. Set aside in refrigerator for at least 20 minutes or overnight. 2. Heat oil in a deep saucepan and add the chicken mixture. Add the remaining curry and mix well. Saute for 2 to 3 minutes. 3. Add chicken stock, potatoes and salt. Simmer for 15 minutes and continue to cook until the sauce thickens, for about 5 minutes more. 4. Add the coconut milk and simmer for 3 minutes more. (Note: I had some peppers from the garden, so a sliced them up and added them at the end for color) Taste to adjust seasonings. Serve with rice or rotis. Earlier this year, I had the fun experience of recipe testing for a friend, Carolyn Hughey. 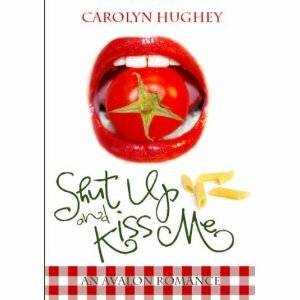 She's got a book coming out Aug. 5: SHUT UP AND KISS ME. Doesn't the cover & title make your mouth water? You can learn more about the book here. Anyhoo, the book I recipe tested for is Dishing Up Romance (available February 2012). Now back to the food :) Let me tell you, the recipes she includes will both make you smile and your tummy happy! Carolyn had me try two recipes: Naan of this, and Naan of that Bread and the Nutty Apple Cake with HOT Caramel Sauce. 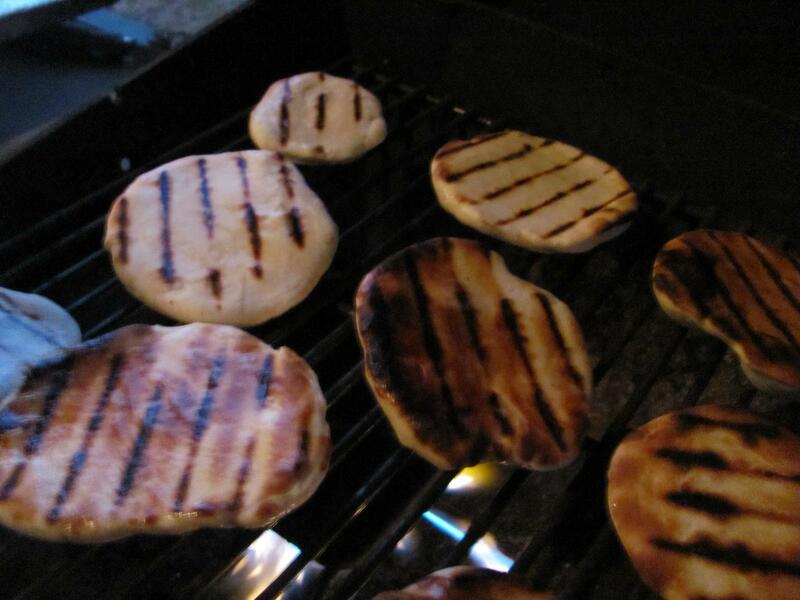 With the Naan recipe, Carolyn attached this little note: "You can probably make the Naan in your sleep, but I thought cooking it on the grill might be a nice change--give it that smoky taste. Tell me what you think." Um, total head*to*desk moment. Yes, I'd grown up enjoying naan and kababs and chicken tikka, but I'd never considered grilling them. 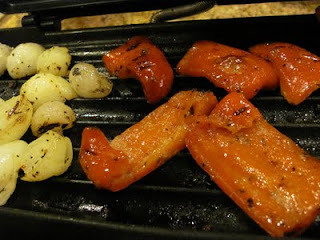 Yes, I live in Texas, and grilling tops the list of my favorite summer activities, and I'm always trying to bring the Bengali kitchen of my childhood together with the West Texas kitchen of my marriage...yeah, head-to-desk. 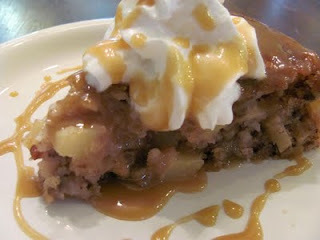 And yes, the Nutty Apple Cake with the Hot Caramel sauce was good too. 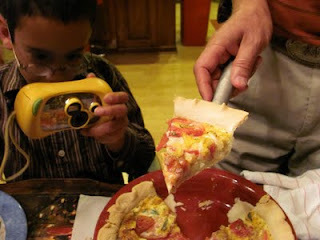 I thoroughly enjoyed the experience and my family enjoyed every bite...so anyone need a recipe tester? 1. Put the milk in a bowl. Add 1tsp sugar and the yeast. Stir to mix. Set aside for 15-20 minutes or until the yeast has dissolved and the mixture is frothy. 2. Sift the flour, salt, caraway and baking powder into a bowl. Add the remaining 1tsp sugar, the yeast mixture, 2tblsp vegetable oil and yogurt,egg and minced chive (if using). Mix to form a ball of dough. 3. Knead for 10 minutes until smooth and satiny (I did this in a stand mixer). Form into a ball. Pour 1/4tsp oil into a large bowl and roll the ball of dough in it. Cover the bowl with clingfilm and set aside for 1 hour until doubled in size. 5. Punch down the dough and knead again. Divide into six equal balls. Keep covered when not working with the balls of dough. Roll the ball of dough into a tear-shaped naan, about 10-inches long and 5-inches wide at it's widest point. 6. 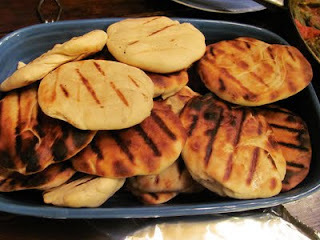 Brush one side of the Naan with melted butter and place on a hot grill cooking for approximately 3 minutes or until it puffs and is lightly browned. Flip it over and repeat the same thing with the other side. 7.Wrap the naans in a tea towel or foil. Make all the naans this way. Serve hot. You can reheat them in the microwave for 40 seconds or so. 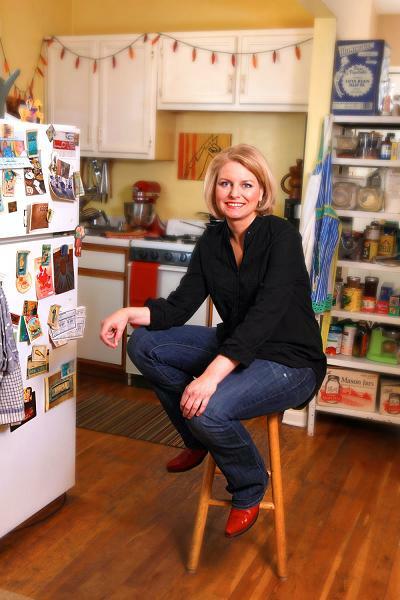 When I first started cooking Western foods, I relied heavily on cookbooks since I hadn't grown up with these dishes. Mollie Katzen's Moosewood cookbooks appealed to me because of their simplicity and flavor. I could try a recipe and know it'd taste good and satisfy. She was my kitchen companion without even knowing it. So I was totally jazzed when I met her in Austin for the IACP conference earlier this year and received her Get Cooking cookbook. What impressed me most was how gracious and down-to-earth Ms. Katzen was and how much she just enjoyed her time in the kitchen playing with recipes. Once home, I pored through Get Cooking: 150 Simple Recipes to Get You Started in the Kitchen with the intention of reviewing it for my column. As part of the review process, I tried out a few of her recipes. 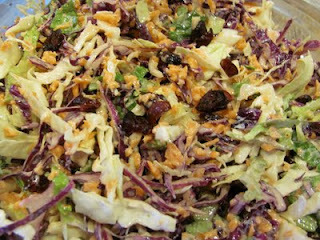 My favorite turned out to be the Mostly Classic Cole Slaw. The basic recipe was good. I loved all the colors from the purple and green cabbage and carrots, I loved that she included yogurt. Now I like to experiment in the kitchen and come up with my own twists. Well, everything I thought to add-- from sour cream to cranberries-- she'd thought to include plus some in her additional Get Creative section. She's definitely my kind of a cook. I made the recipe for my family of 4, and then later for my father-in-law's 86th birthday party. The cole slaw was a hit both times. My 6-year-old actually saved the cole slaw until the end of her meal. "I like it so much," she said. "It's my dessert." Here's the review that was published in the San Angelo Standard-Times. 1. 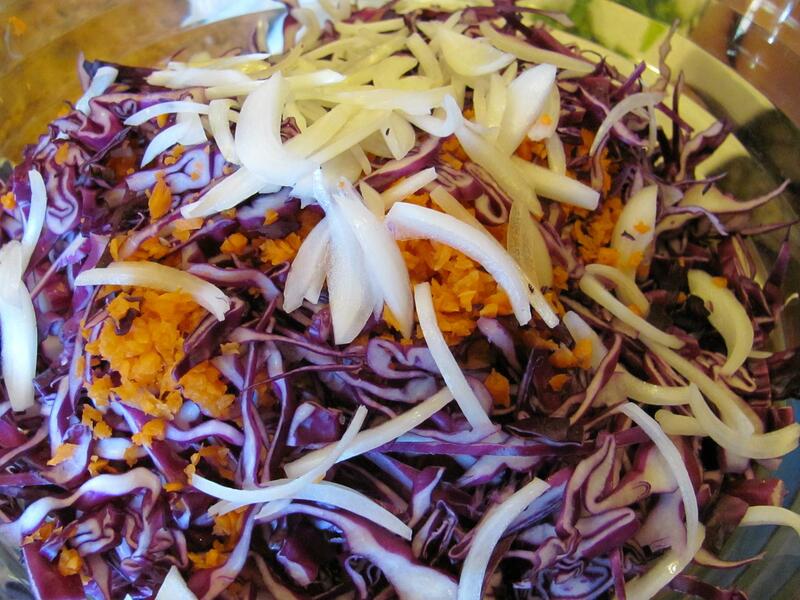 Combine cabbage, carrot, and onion in a very large bowl. 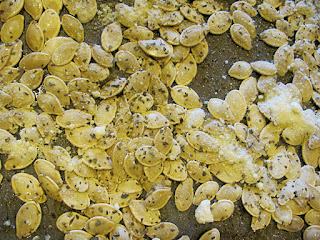 Sprinkle with salt, toss, and set aside. 2. In a second, smaller bowl, combine the oil, vinegar, mayo, yogurt and 1 tablespoon of sweetner and whisk until smooth. Pour this onto the cabbage mixture and toss well. Taste, add more sweetner if you wish. Transfer to a container with a tight-fitting lid, cover and refrigerate. Serve cold. Makes 6 to 8 servings. 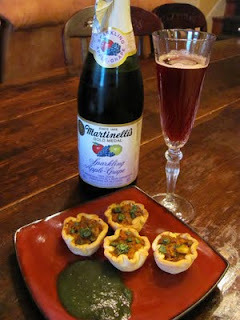 Let's Celebrate: Samosa-Shingara Pies & (faux) Champagne! Cheers! Hooray! Let's here it for #Letslunch on its second anniversary! What's #Letslunch? 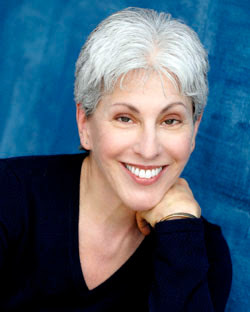 Why it's one of the most fun groups you'll find in all of twitterverse.Spearheaded by Cheryl Tan (author of the wonderful foodie memoir, A Tiger in the Kitchen), food enthusiasts from all over the world, who come together to share recipes, stories, friendship and virtual lunch in cyberspace. Want to join us? Just send a tweet with the hashtag #LetsLunch! 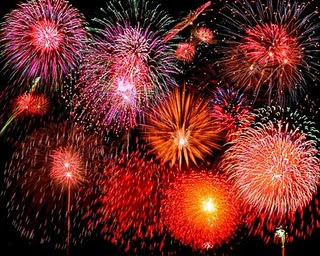 Anyhoo, we are celebrating this month with Champagne and bubbly-friendly bites. Something special. Of course, that brought up mouth-watering memories of hot shingaras and samosas enjoyed as a treat on wet and chilly Monsoon evenings in my childhood. Ahhh, I miss those treats. 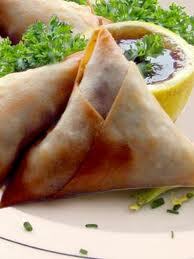 So what are Samosas and Shingaras? Bangla(my mother tongue) is a very precise language. For example, in English your father's sister is your aunt and your mom's sister is your aunt as well. But Bengalis(the people) would call the first Fooppee and the latter Khala, denoting relationship and respect all at the same time. 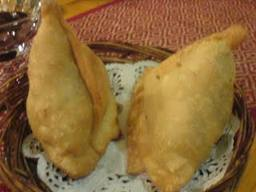 So Samosas, in Bangladesh (the country), would be a triangular meat-filled deep fried snack with a crispy-crackly shell. 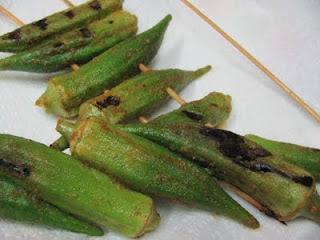 Shingaras are vegetarian pot-bellied deep-fried faintly triangular snacks with a softer, melt-in-your-mouth crust. 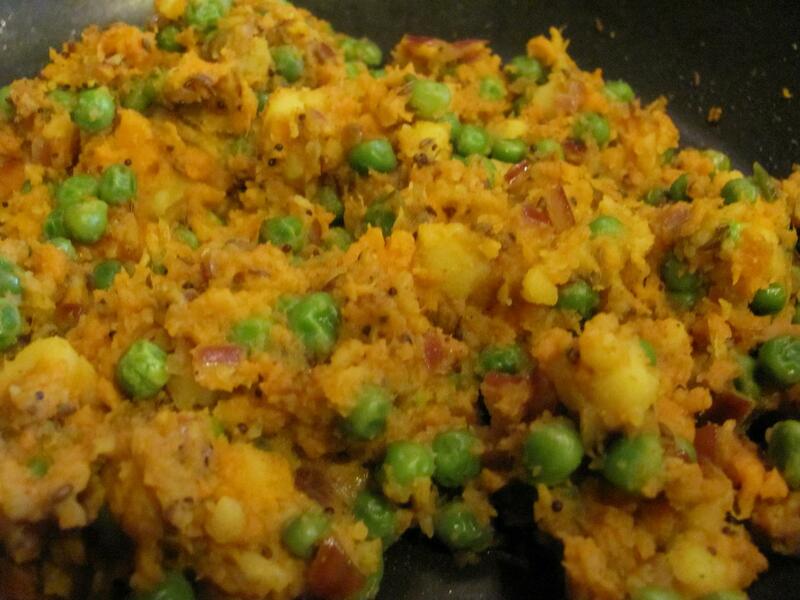 The filling is spiced up potatoes and peas and sometimes cauliflower. (This image is from Pakistani Food Recipes, which has a variety of samosa & shingara recipes from all different places). I prefer the Shingaras, but I have noticed that online as well as in restaurants, "Samosa" is the go-to word for both the veg and non-veg snacks.Call it by whatever name, every bite is just as yummy! The reason I don't make them at home is I detest deep frying. Yes, I know I live in TX where they deep fry everything -- from pickles to oreos. And I'll eat these deep-fried delicacies once in a blue moon, but I'm not deep frying. So, I decided to bake. Healthier and easier. 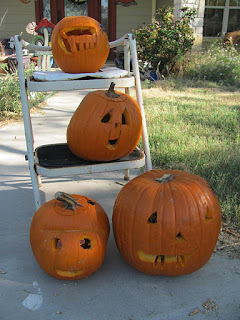 But then, y'all know how I like to play around with tradition and add my own twists. 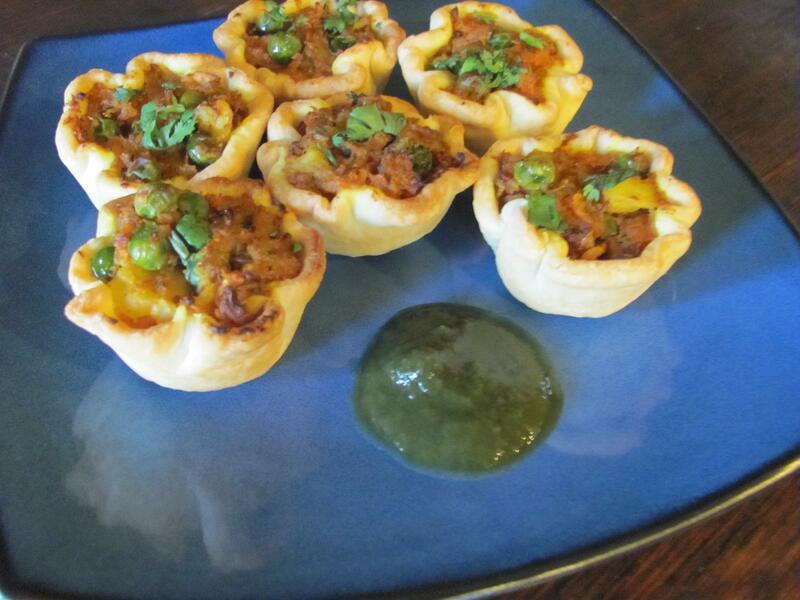 So from my desi-Texas kitchen, you have: bite-sized Samosa-Shingara Pies! 1. 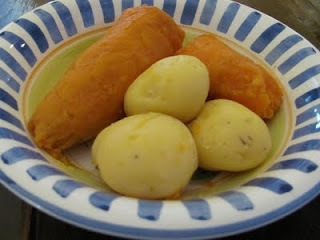 Boil some potatoes (I thought the sweetness of a sweet potato would go great in the samosa recipe so in it went). 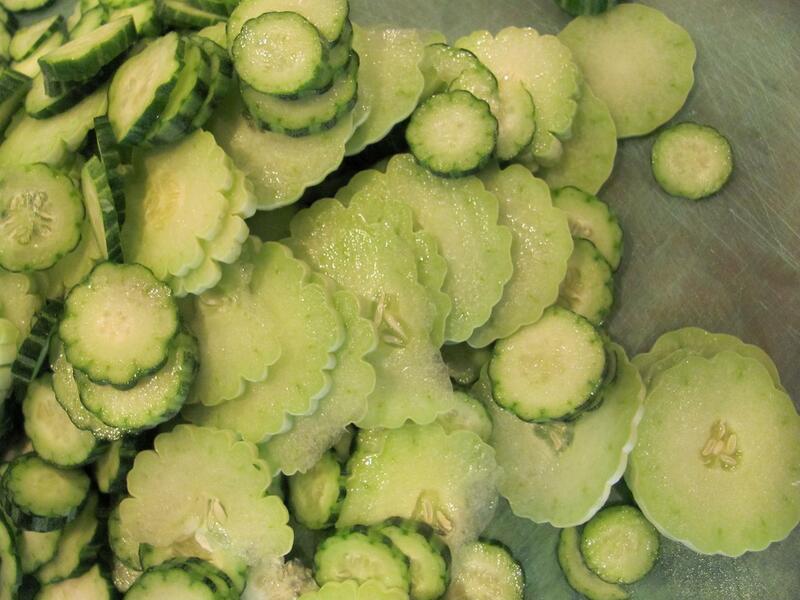 Peel, mash and set aside. 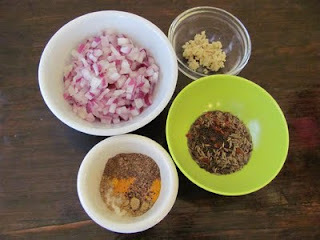 Ground Spices: 1/2 teaspoon salt, 1/2 teaspoon amchur (dried mango powder), 1/2 teaspoon garam masala, 1/4 teaspoon seasoned pepper, 1/2 teaspoon turmeric, 1 teaspoon salt. 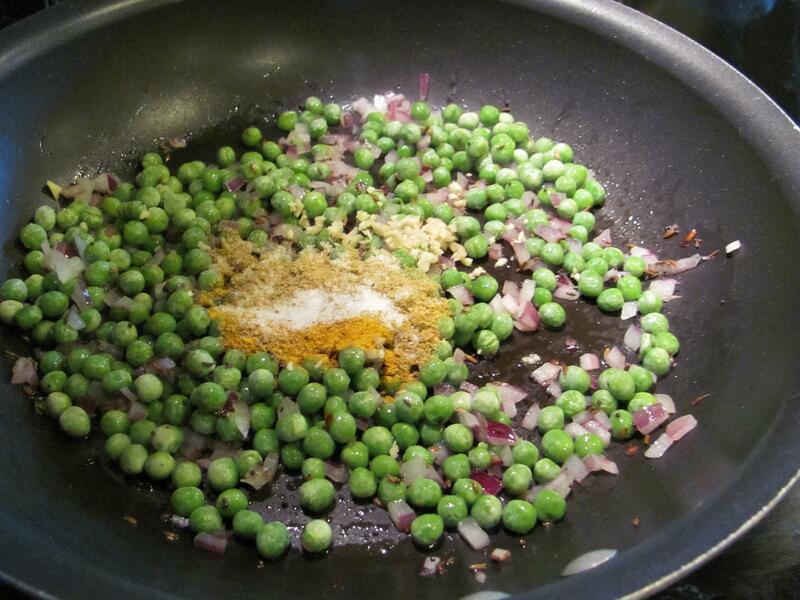 4.Add the onion and chillies (if using), cook until they soften. Add 1 cup frozen green peas, ginger, and ground spices. 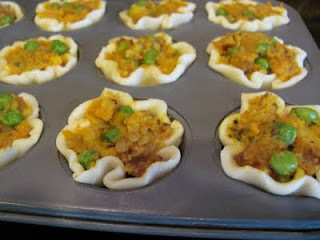 6.Fill in prepared pie shells. I used a refrigerated pie crust, a wine glass to cut the circles out and a 12-count mini-muffin pan. 7. Bake in a 350 oven until the crust is golden. Next time, I might pre-bake the shells and then scoop in the filling. Let rest for 10 minutes. Sprinkle with cilantro (if you really like cilantro, you can also add this to the potato mixture. 8. Serve with your favorite condiment (we went with ketchup for the kids and Green Chili Sauce found in Indian grocery stores for the grownups) and bubbly. Um, yes, our bubbly wasn't exactly Champagne...but the kids really wanted to be part of the celebration. The end result was still fun & yum! I met Glutenfree Girl or Shauna James Ahern on twitter while whining about attending my first foodie conference, the giganaramous and impressive IACP Conference in Austin. She was kind enough to tweet at me and reassure me that'd she'd been in a similar boat not too long ago and I'd be okay. Now, I'd heard of Shauna, read her blog and recent cookbook (Loved the sweet lovestory of her and the chef)and so I was totally wowed that she took the time. In Austin, I did feel kind of lost but there were too many nice people around for me to stay that way for too long. I even managed to say hi to Shauna. 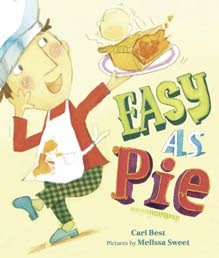 My 9-year-old recently brought home Easy as Pie by Cari Best and Melissa Sweet. 1. A happy baker bakes a happy pie. 2. Concentrate on what you're doing no matter what. 3. If something unexpected happens,fix it as best as you can. 4. Always leave your kitchen as you found it. 5. Don't give up even when what you're making doesn't look the way it's supposed to. 6. A baker can always use some help. 7. Always finish what you start. 8. A pie is ready when it's ready and not a minute before! Besides the rules and the story, the book also comes with a "Happy Peach Pie" recipe on the back. By the end of our reading, we were both ready to bake. Only problem was an untimely frost killed off our peach blossoms and this summer I have zero peaches. 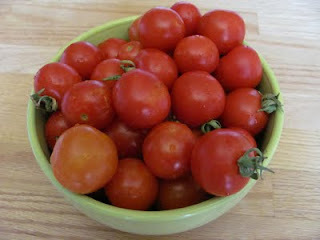 But I had buckets of tomatoes! So we used Rule #3. The recipe called for refrigerated pie dough and well, keeping things simple is one of my cardinal rules. So went with refrigerated pie dough. Now a lot of tomato pie recipes call for Mayo, never liked the stuff: so went with a quiche-style filling. The kids took turns whisking the egg mixture. Threw in some sliced onions and micro-Thai Basil from the garden. Layer everything in starting with the cheese. Popped it into a 375 degrees oven for 35 minutes. Let it cool and served it to the family. Six-year-old: We are like the cooking shows on tv. We cook, cook, cook, take pictures, finally eat and then we judge it. Well this one got thumbs up all around the table. Have the unbaked pie crust in the pan, ready. 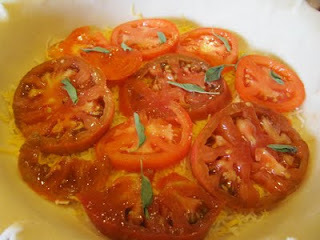 Sprinkle the mozzarella and 1/4 cup of cheddar cheese on the bottom of the crust,single layer tomatoes, onions and basil on top. In a medium bowl, whisk together eggs, milk, seasoning and flour. Pour it into the pie shell. Sprinkle the reserved 1/4 cup of cheddar cheese. 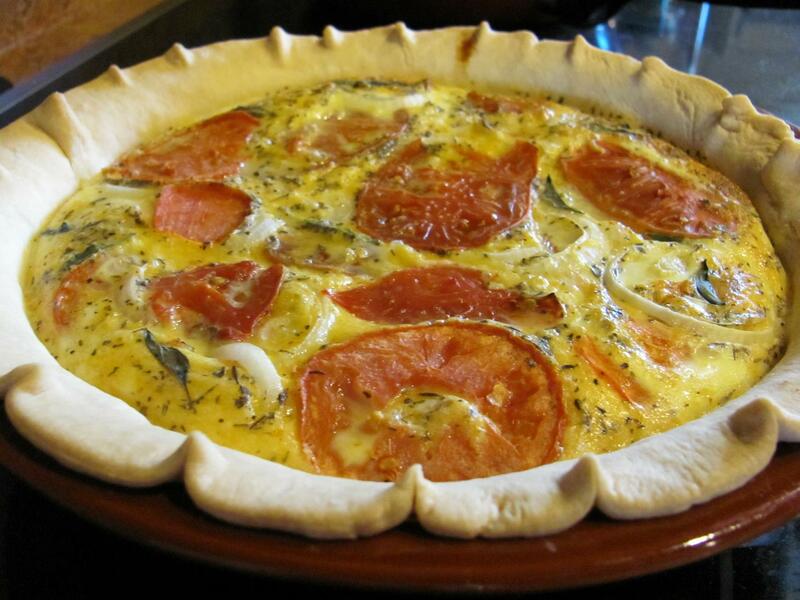 You can add a few more slices of tomatoes on top. Bake 35 minutes. Serve with a side salad. 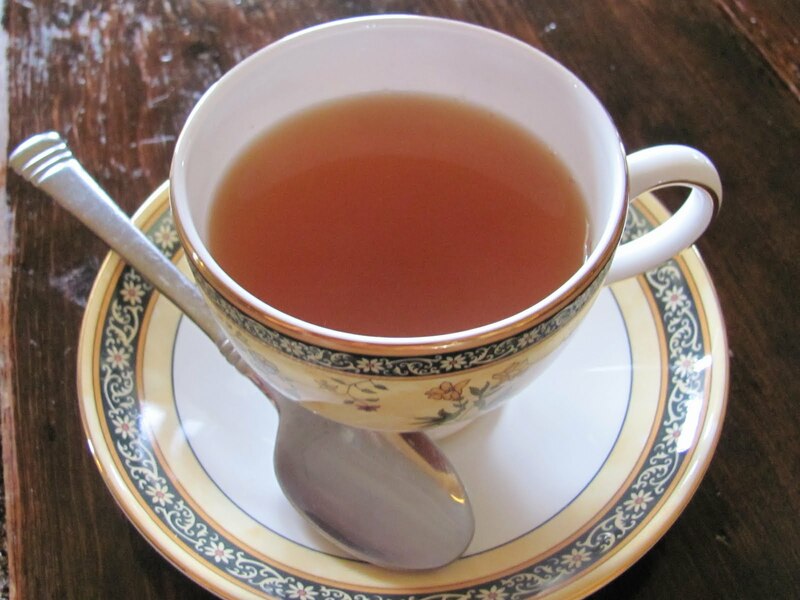 I even like this cold and could eat if for breakfast, lunch and dinner!